Christmas may be approaching, but there’s still plenty of time to squeeze in a getaway before Santa arrives. We’ve selected some European escapes with excellent markets that allow you to stock up on festive spirit (and pressies), while also enjoying a super-seasonal sojourn with a glass of the local grog. Christmas markets are as much about the food and drink as the gifts, so it’s worth bearing in mind that the traditional Czech Christmas drink (grog and honey liquor) is perhaps a little more tempting than the traditional Czech Christmas dish (carp displayed in huge barrels of water). 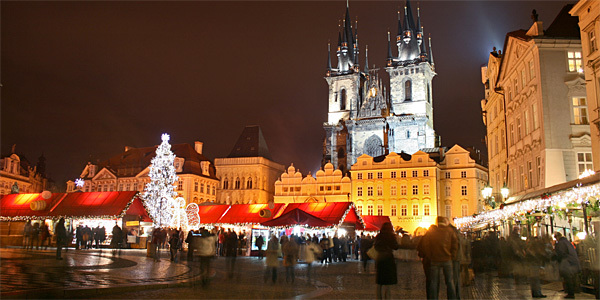 However, nothing quite matches Prague’s festive scenery, and the Old Town and Wenceslas Square are utterly idyllic settings for snow-dusted Czech carols. Where to stay: With such incredible architecture and bustling markets in the centre of the city, it makes sense to get as close as possible. 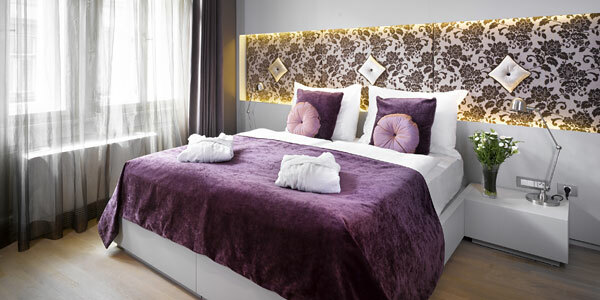 This modern but cosy design hotel is near the Old Town but nicely tucked away to avoid the noise and bustle. The comfortable rooms are a delightful remedy to the biting Czech cold. With the increasing popularity of Christmas markets, it’s refreshing to encounter one that retains its authentic charm. Each December Copenhagen’s Tivoli garden – the second oldest theme park in the world – is transformed into a spectacular space of sprawling stalls, hidden grottos and festive rides. Resplendent in its bright decorations and covered by nisser (Danish Christmas pixies), it’s an enchanting and abundantly festive wonderland. Where to stay: This laid-back and colourful hotel is tucked between Copenhagen’s downtown area and beautiful lakes – an illustrious location for any visitor to the city. 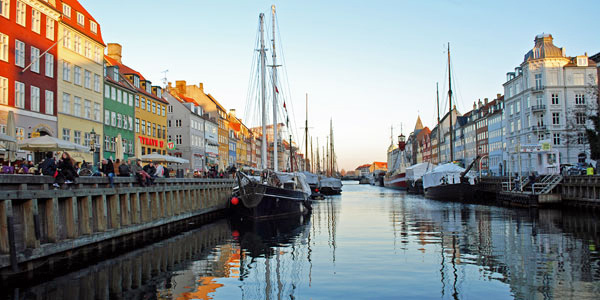 But it’s not just the setting that makes a hotel – something that the Danes understand very well thanks to their concept of hygge (which loosely translates as the cosy and warm feeling that comes from intimate surroundings, good friends and good food). Ibsens Hotel is the perfect place to discover it. 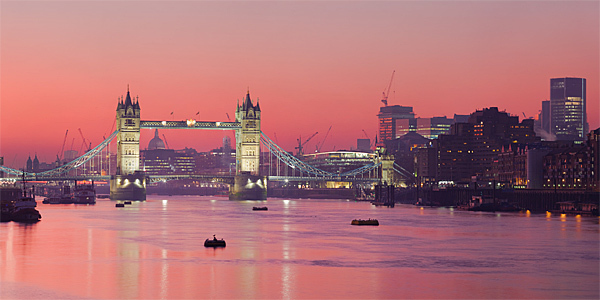 Many of London’s numerous markets recreate the popular German variety, with quaint wooden huts and European fare. Despite being a borrowed theme, it’s nevertheless done with yuletide charm, and large events like Hyde Park’s Winter Wonderland are a popular draw for seasonal revellers. For a slightly more relaxed market experience, we love the pop-up stalls along windswept Southbank. 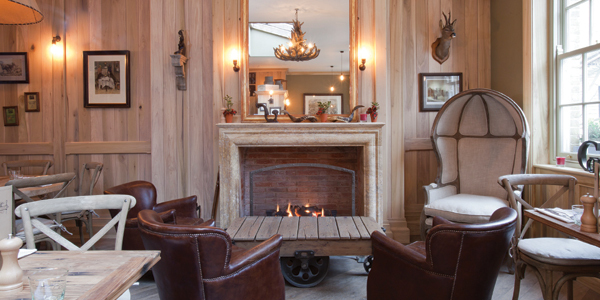 Where to stay: For a taste of a wintry rural getaway amid Marylebone’s urban beauty, we love The Grazing Goat – a muted and beautifully designed hideaway with log fires and exquisite food. It’s also well positioned for excellent shopping (Bond Street and Oxford Street are nearby), with easy access to the rest of the city. 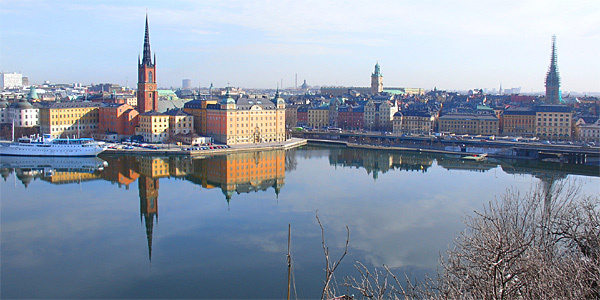 Stockholm’s most famous Christmas market, in the charming and iconic Stortorget Square, is a seasonal spree of national crafts and delicacies. We can’t resist the delicious saffransbullar (saffron buns), and reindeer sausages are also popular (though don’t tell the kids!). If you’re lucky enough to get a dusting of snow, the whole scene adopts an impossibly beautiful Christmas card-like magic. 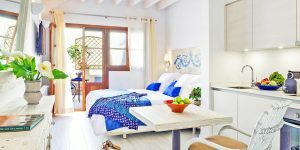 Where to stay: After trying some tasty Swedish treats at the market, Hotel Rival is the perfect place to continue the gastronomic fun, with superb breakfasts and Sunday brunches. 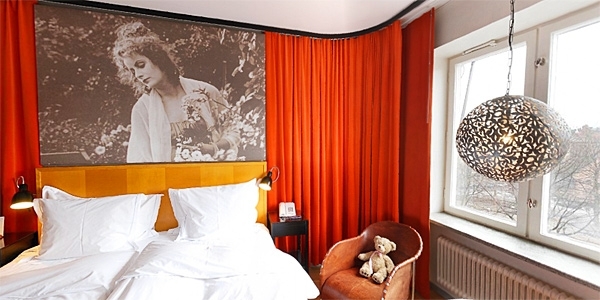 Transformed from a 1930s cinema (by none other than ABBA’s Benny Andersson), it’s now a cool pad with bold colours and wonderfully comfortable rooms to protect you from the Swedish winter.